Telemedicine is a practice that allows health professionals to diagnose, evaluate, and treat their patients by using telecommunications technology. It will enable the providers to deliver their health care services using different networks like the internet, telephone media, and wireless options. It has evolved for many decades, and it now plays a vital role in the healthcare system. This practice started in the 1950’s when many health professionals and hospital systems look for effective ways on how to connect with their patients quickly. During that time, they conveyed the information via telephone. Nowadays, the telemedicine is a seamless and straightforward way to work with the patient no matter the health specialist is located somewhere else. The advancement of the technology is one of the reasons why telemedicine has been a big success. Internet plays a prominent role in the development of smart devices that transmits the information through a video or data, which can be easily accessed remotely by the patients. Telemedicine allows the health professionals to expand their reach by not only assisting patients who visit the hospitals or other health facilities, but they can also help people beyond their offices. We should be aware that not all rural or urban areas have available hospital systems. With the help of telemedicine, patients can receive the care they needed. This practice also provides a cost-effective means to reduce the cost of healthcare while providing efficient at the same time. Now, patients have the opportunity to receive health management without staying at the hospital for several days. They can save money on bills and travel because they can stay at home and get a rest. Many studies have shown that telemedicine offers high-quality service compared to the traditional consultation. Services provided especially in mental health provides excellent customer satisfaction. Patients have reported it gives them less stress to travel to and from the hospital. It allows them to get immediate care and therapy without the need of staying at the hospital for many days. It is no doubt that millions of people around the world have realized how telemedicine changed the traditional ways of receiving essential health care. 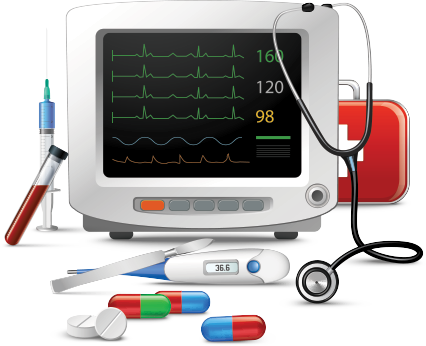 Many have been using cardiac monitors and applications to monitor their vital signs. Both the clients and their physicians can also download health applications so the latter can provide guidance on how to stay healthy. The patients may ask the hospital or his physician about the telemedicine services being offered. Doing so allows the doctor to deliver his services 24/7 via remote monitoring. It is also advantageous for people who have insurance and health coverage like Medicare to avail its benefit. It is mostly gained by patients who need pathology, cardiology, and radiology services. Telemedicine has significant benefits for the patients and their family. It is a safe way to deliver the best health care services. Now, people can already receive the necessary health and wellness assistance in the comfort of their home. It also gives them access to many options available at a reduced cost.